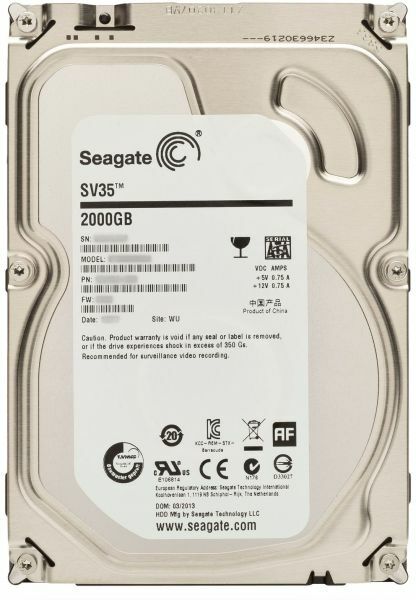 The 2TB SV35 Surveillance Optimized Internal HDD from Seagate is an internal hard drive designed for modern video surveillance systems with its 1 million hours MTBF rating. This hard drive takes advantage of 1TB-per-disk technology, maximizing your cost-per-gigabyte performance as the drive comes with fewer mechanical components. You also benefit from enhanced power management with its 2A current-limiting and spin control features.